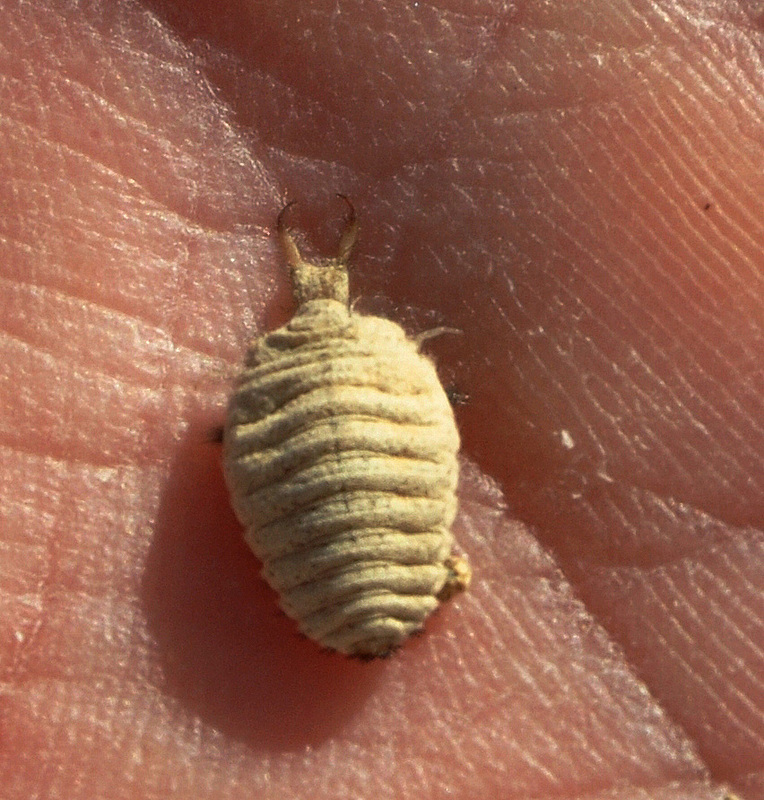 Ant lion larvae, sometimes called “doodle bugs” for the squiggly designs they make in the sand, dig small conical holes in the sand in order to trap unsuspecting prey. 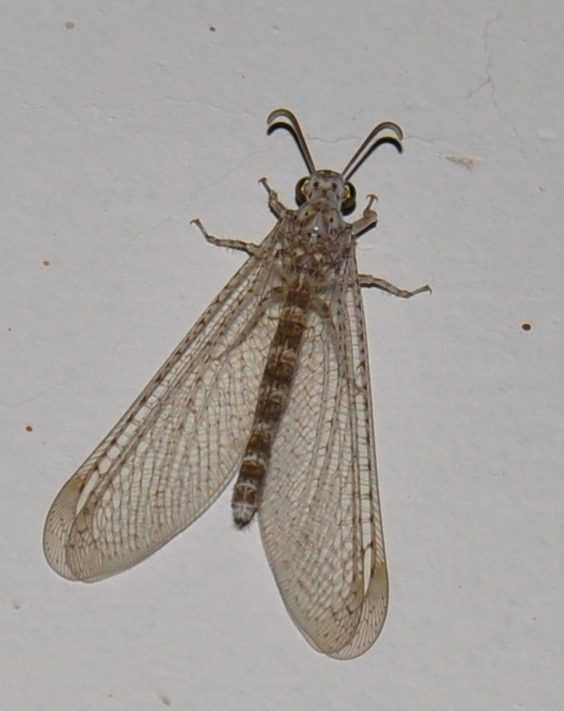 A small insect or something falls into the trap and cannot get out as the loose sand cascades around it. The little tank like creature hiding under ground then snatches the unfortunate victim with its fangs and pulls it underground for dinner. Eventually they grow into the graceful winged adults see in the photo. 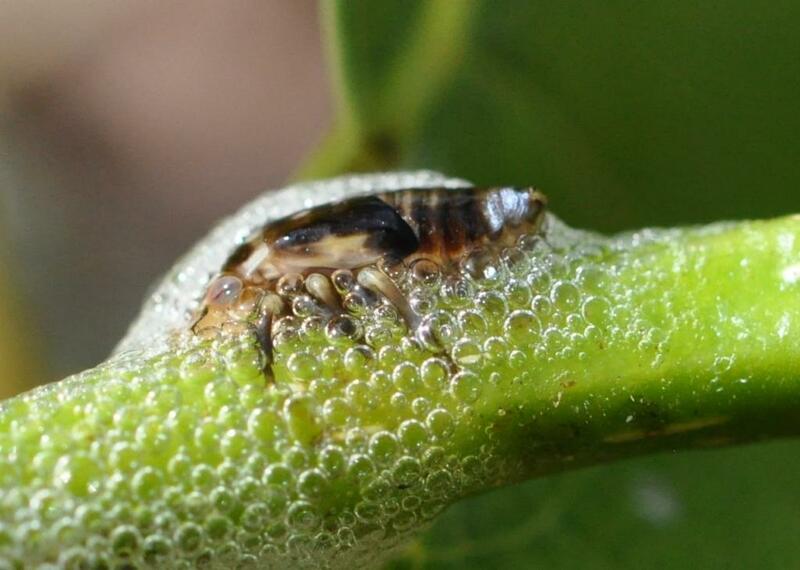 Spittle Bugs are also referred to Frog Hoppers due to their leaping ability. 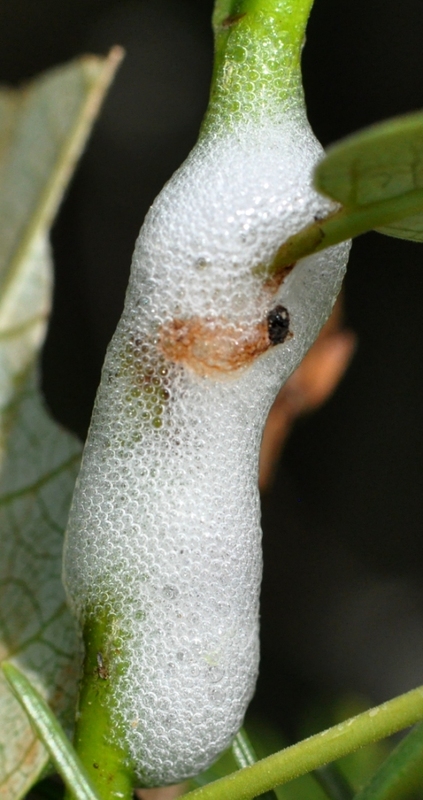 You normally see the spit like foam produced by the nymph as it clings to the side of a plant happily munching away under its a protective layer. Push that “spit” away, however, and you’ll find the little insect hiding under there.